The growing season may have been the worst in over 20 years. But how are the wines? "It was the most difficult vegetative cycle since 1991/1992," Maria-Teresa Mascarello of Bartolo Mascarello told me in late April. "There was hail three times, fungal diseases, and it rained from November 2013 until March 2015 except for a one-month period during September and October 2014." Perhaps there was a slight exaggeration about the rainfall, but make no doubt about it, the 2014 vintage was a challenge for Piedmont's vintners. Barbaresco fared better due to less rainfall; Barolo not only experienced higher precipitation, but hail in several major Menzioni Geografiche Aggiuntive (MGA), the official name for the individual crus. Rain during the flowering, isolated hail and rigorous selection resulted in reduced yields, down anywhere from 20 to 50 percent (in vineyards damaged by hail, yields were slashed even more). There was pressure from fungal diseases and the vineyards required a tremendous amount of labor. Chiara Boschis characterized 2014 as "a year where you see the good farming." Intense green harvesting, leaf-pulling for aeration and light, plus meticulous sorting were necessary. Gaia Gaja reported that La Morra, with its sandier soils, performed well, but Serralunga, where the soils are cooler (clay), took longer to ripen. Gaja harvested in the latter commune 10 days later, at the beginning of November. Some, like Mascarello, felt it was an advantage to blend different sites, and others decided not to bottle individual crus. Yet at estates such as G.B. Burlotto, Aldo Conterno, Giuseppe Rinaldi and Vietti, it's the single vineyards that reveal the best of 2014. "In '14 we were thinking about blending everything, but in the end, we found the personalities of each cru," said Marta Rinaldi as we tasted through the range of 2014s in the cellar of Giuseppe Rinaldi. 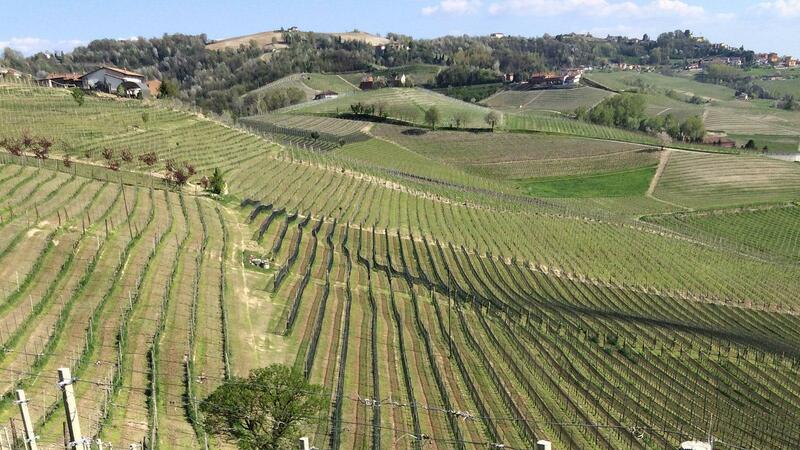 At Vietti, Luca Currado summed up success in 2014 as the absence of hail combined with top sites. "In 2014, Mother Nature remembered the places that were 'grand cru,'" he explained. He went on to describe 2014 as a very transparent vintage, meaning that the wines are very expressive of their origins. The weather turned drier by the second week of August, and eventually clear and sunny, according to Enrica and Elisa Scavino, whose family owns Paolo Scavino. As conditions into September and October improved, this favored the late-ripening Nebbiolo grape. In the end, the Nebbiolo was ripe. Almost all the nearly dozen top vintners I visited performed long macerations. Nothing I tasted on those visits exhibited unripe fruit or tannins. In fact, there were no bad wines. A handful were potentially classic and very thrilling young wines. The 2014 Barolos are pure, elegant and balanced, yet structured. They are brilliantly colored and aromatic, delivering freshness and intense flavors on lightweight frames. Since my visit to the region, I have officially tasted and rated three-dozen wines. Dozens more will follow over the next few months. Look for my reviews in upcoming editions of Wine Spectator's members-only Insider email newsletter and in the magazine's Buying Guide.